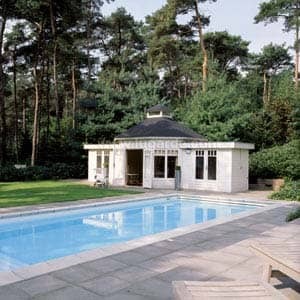 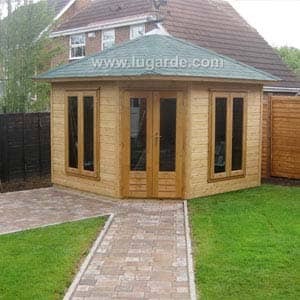 Log Cabins are a great way to create living areas in your garden that are suitable for all weather conditions. 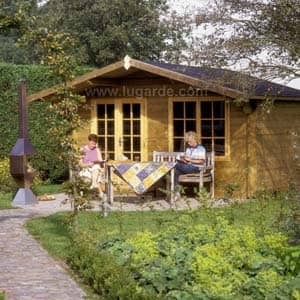 Whether you need office space or just a place to relax, a log cabin is a great choice. 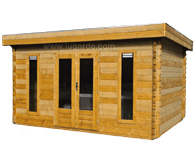 We ensure your log cabin in suits you & your garden by stocking a large variety of styles, all available in multiple finishes and colours. 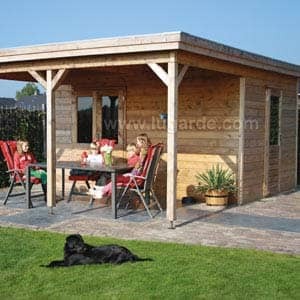 Breathe a breath of fresh air into your garden by adding a Log Cabin from Norton Leisure Buildings. 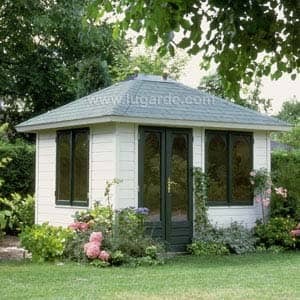 You could even create a luxurious for guests. 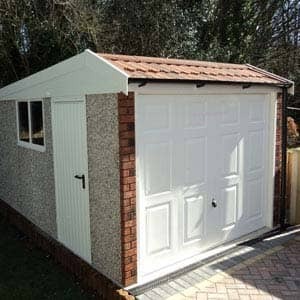 Remember we will not be beaten on price! 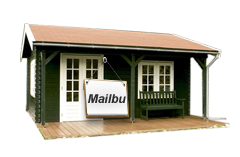 The Malibu chalet is one of our biggest and most luxurious cabin that we have to offer. 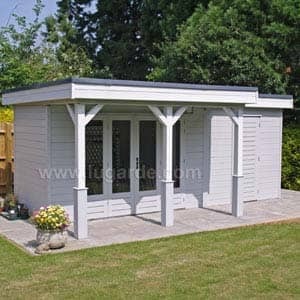 It has a front porch with a lot of space for a bench to sit out on when it’s sunny! 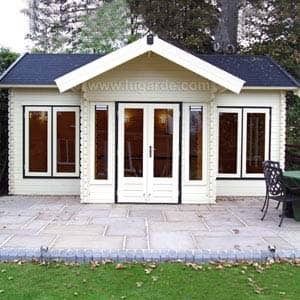 The windows and doors are both fitted with double glazing, so you will be receiving a fantastic product when you choose this one. 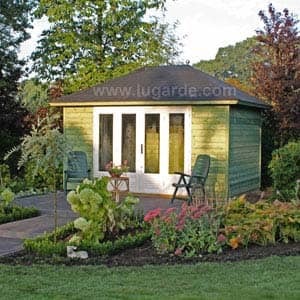 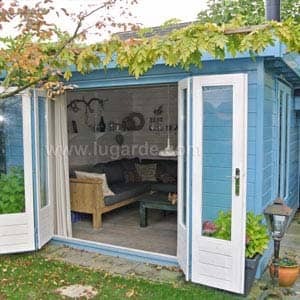 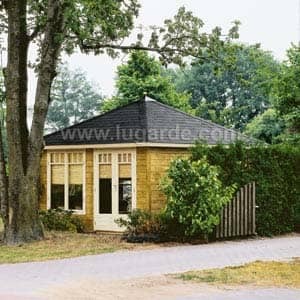 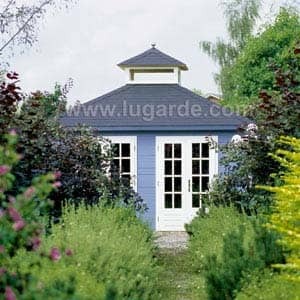 This cabin is the smallest in our range making it a great size for smaller gardens, and is also available in 3 different sizes. 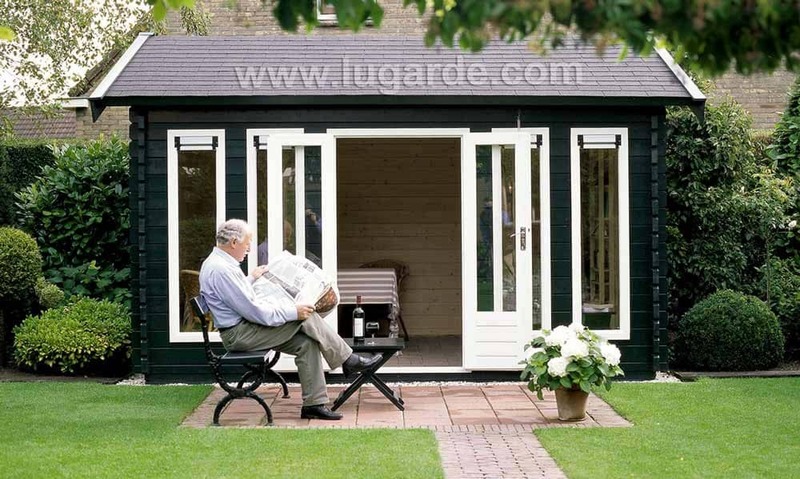 The wood that makes up the walls are 44mm thick, with insulation available to keep you that little bit warmer! 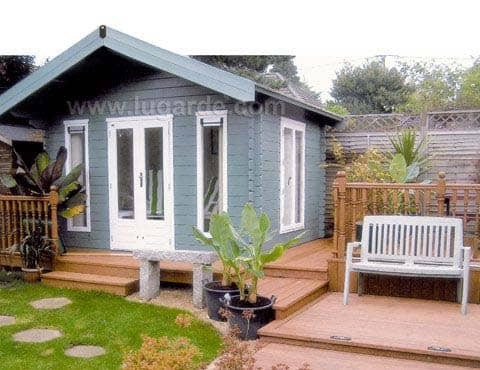 Log cabins are becoming an increasingly popular addition to homes in the UK. 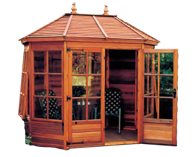 At Norton Leisure Buildings we supply and install a range of log cabins that are suitable for gardens of all shapes and sizes. 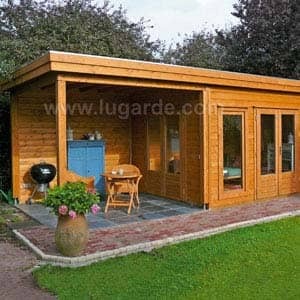 Why Should I Get A Log Cabin? 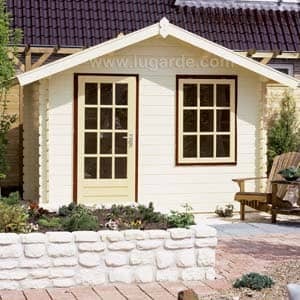 Log cabins are a perfect add-on if you’re looking to extend your property. 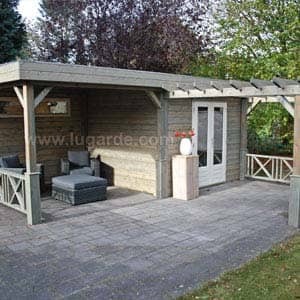 It offers you a space that is separate to your house and allows you to enjoy the outdoors. 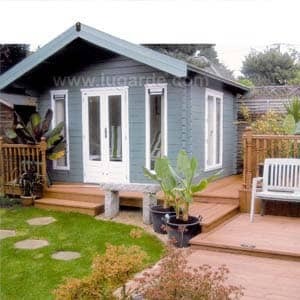 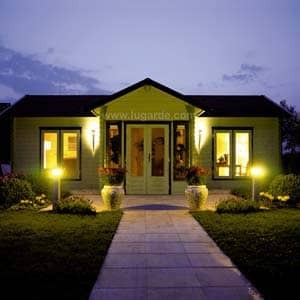 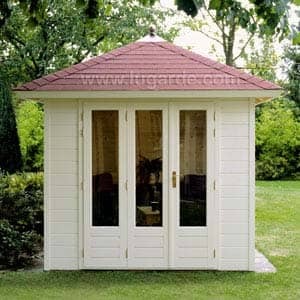 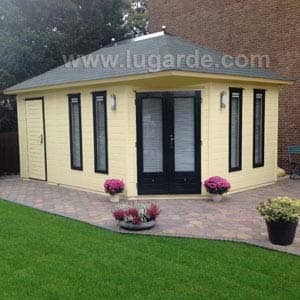 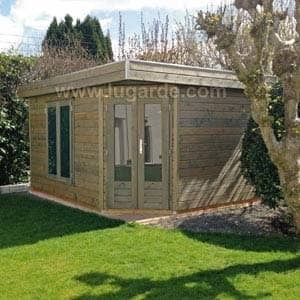 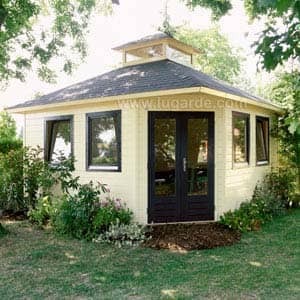 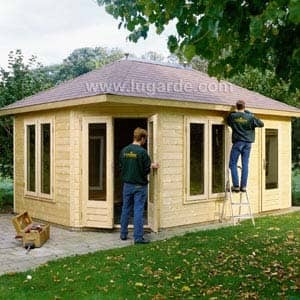 They are ideal builds for home offices, workshop or luxurious guest accommodation. 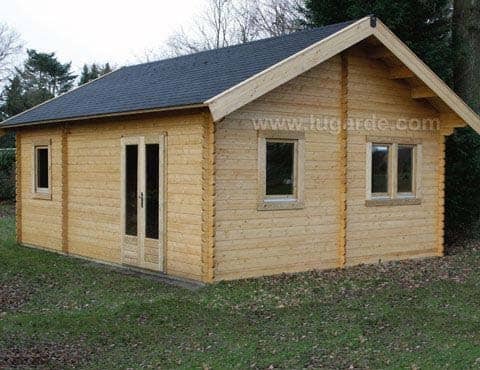 The timber that is used for your log cabin will have an impact on the longevity, structural integrity and overall aesthetics once the build is complete. 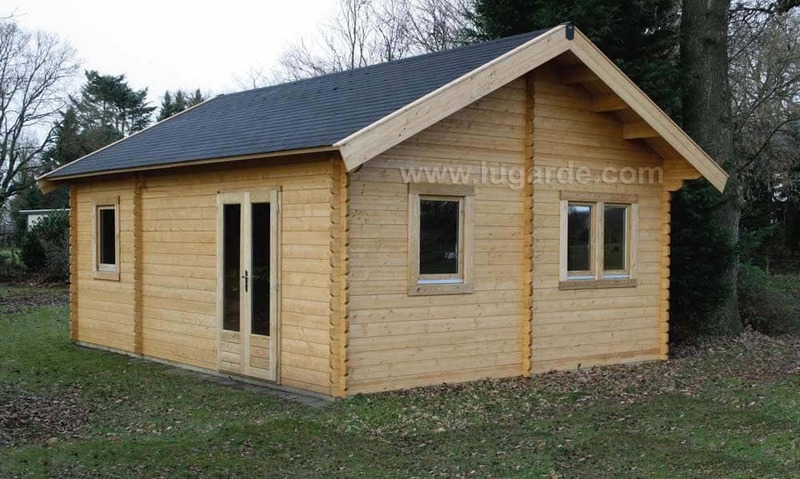 The most common woods used for log cabin construction are pine, spruce, cedar and douglas fir. 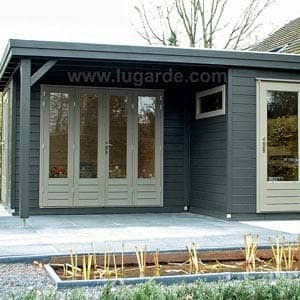 This is due to their aesthetics, cost and decay-resistant properties. 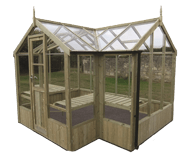 If you are unsure of which wood type is most suited to your requirements then it is important that you discuss this with a member of our team prior to making your purchase. 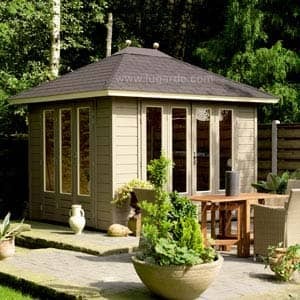 Norton Leisure Buildings have a large selection of log cabins in stock including the Malibu Cabin, which is the largest of our collection and the Barcelona Cabin which is available in 3 different sizes, making it ideal for the smaller garden. 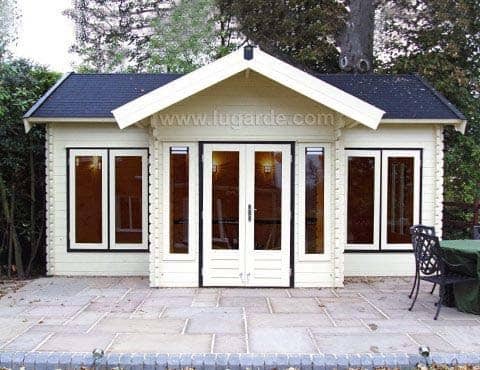 If you wish to have your log cabin constructed quickly, it’s important that you choose a style and follow certain rules that mean you won’t require planning permission. 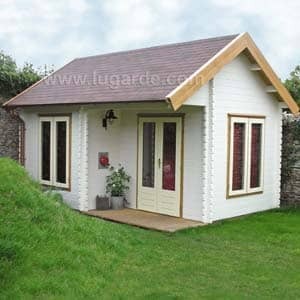 To build a log cabin without planning permission, anywhere except in front of your house, it must be single storey. 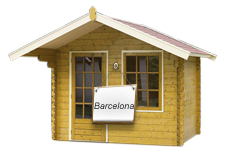 If your building is being constructed 2m or less from the property boundary, it cannot exceed 2.5m in height. 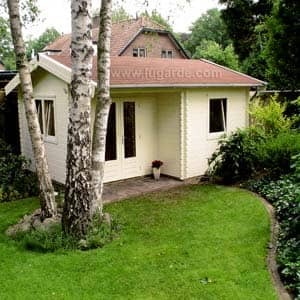 When building on designated land (national parks, areas of outstanding natural beauty, conservation areas and world heritage sites) you are not permitted to build your outbuilding to the side or front of your property – it MUST be around the back. 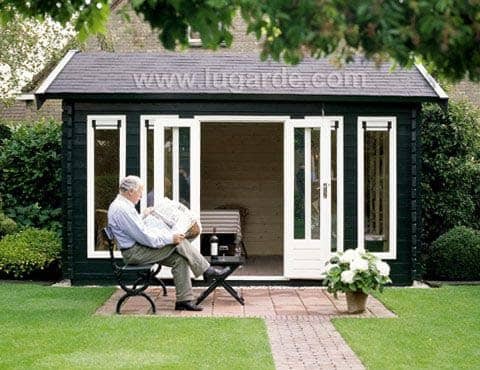 Outbuildings (including sheds and any other buildings built after the original house) must not exceed 50% of the total area of land around the original property. 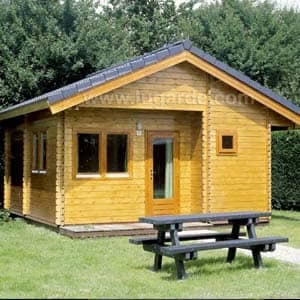 If you are planning to use your log cabin as a rented holiday home or separate property, you will require planning permission. 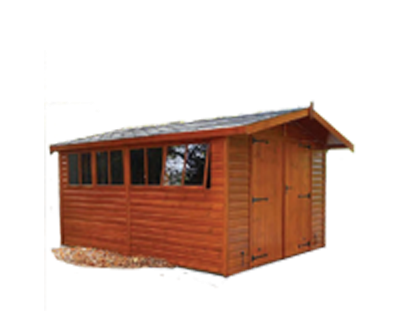 If you would like to find out more information on log cabins and installations, available throughout Oxfordshire, Buckinghamshire and further afield, please call us on 01608 643 784 or fill in our contact form. 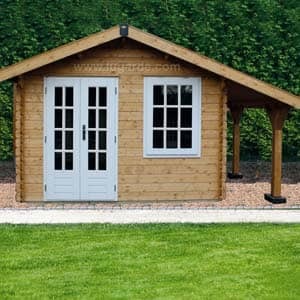 You can also come and view our extensive range of products that are on show at our show site in Chipping Norton.